KFD Cashew Butter is a delicious and 100% natural butter, containing nothing but great-tasting, whole roasted cashew nuts! It provides an excellent source of high quality protein and healthy fats, whilst avoiding added salt, sugar, palm oil and preservatives. Cashew Butter is high protein, which contributes to the growth and maintenance of muscle mass. Containing a massive 553 kcal per 100g and over 20g protein, KFD Cashew Butter is both protein and calorie dense. 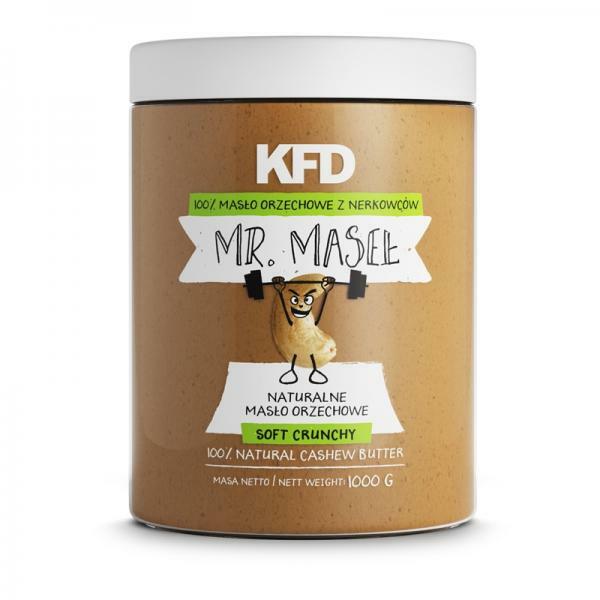 This makes it an ideal addition to any mass and muscle gain programme, or alternatively, for anyone with an active lifestyle looking to supplement their daily protein intake via healthy food sources.